Stephen L. Smith received the BSc degree in engineering physics with an option in mechanical engineering from Queen's University, Kingston, ON, Canada, in 2003. He recieived his MASc degree in electrical and computer engineering from the University of Toronto , Toronto, ON, in 2005, advised by Bruce A. Francis and Mireille E. Broucke, and a PhD degree in mechanical engineering from the University of California, Santa Barbara, in 2009, working in the Center for Control, Dynamical Systems and Computation, advised by Francesco Bullo. From 2009 to 2011 he was a postdoctoral researcher in the Computer Science and Artificial Intelligence Laboratory at the Massachusetts Institute of Technology. He worked in the Distributed Robotics Lab with Prof. Daniela Rus. 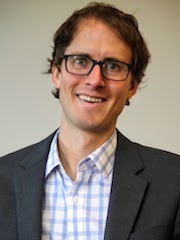 Since 2011, Dr. Smith has been an Assistant Professor with the Department of Electrical and Computer Engineering at the University of Waterloo, Waterloo, ON. He is a Senior Member of the IEEE and a Professional Engineer (PEng) of the Professional Engineers Ontario. His main research interests are in control and optimization for autonomous systems, with a particular emphasis on robotic motion planning and distributed coordination. Please see his Curriculum Vitae for more details.